and girls of different backgrounds and social contexts. In each event, Coogan will lead a silent, slow-moving, choreographed procession through the historic rooms of the National Gallery. for further information please see the National Gallery of Ireland website. Coogan will install and perform her new work; Tomorrow, and Tomorrow, and Tomorrow - The performer stands inside a dumpster filled with waste papers. She is incased from the waist up, in this wheeled carriage. From within her trash filled carriage the voice of a nine year old boy emerges. He is reading Shakespeare’s Macbeth speech; “Tomorrow, and tomorrow, and tomorrow”; this poetic outpouring on the nature of fate and the incessant march of time. The boys words are interrupted by the playing of Bach’s Harpsicord concerto in D, its fugal repetition echoing the rotation of the speech and the performer's actions. The performer moves slowly, making deliberately gestures throughout. As the interior monologue of looped scolding and chaos relentlessly plays the woman is caught in the moment. As with much of Coogan’s works, we are seduced by the beauty of the image. We fall into the trance of the cycle of her gestures; is she calling us, harpy like, into the cycle? We are challenged and yet beguiled by the porous meaning of her movements and yet we fix our eyes on the wheels of the dumpster, knowing things can move, a perspective can be changed, maybe. In 2015 this grouping of Coogan's works began in Dublin's RHA gallery it has traveled to The West Cork Arts Centre and Limerick City Gallery but now re-manifest at the Niemeyer Centre in Aviles, Spain. It is curated by Luz Mar Gonzales Arias who wrote the catalogue essay on YELLOW for the RHA catalogue and curated The Passing-Reperformed at the Niemeyer in 2016. 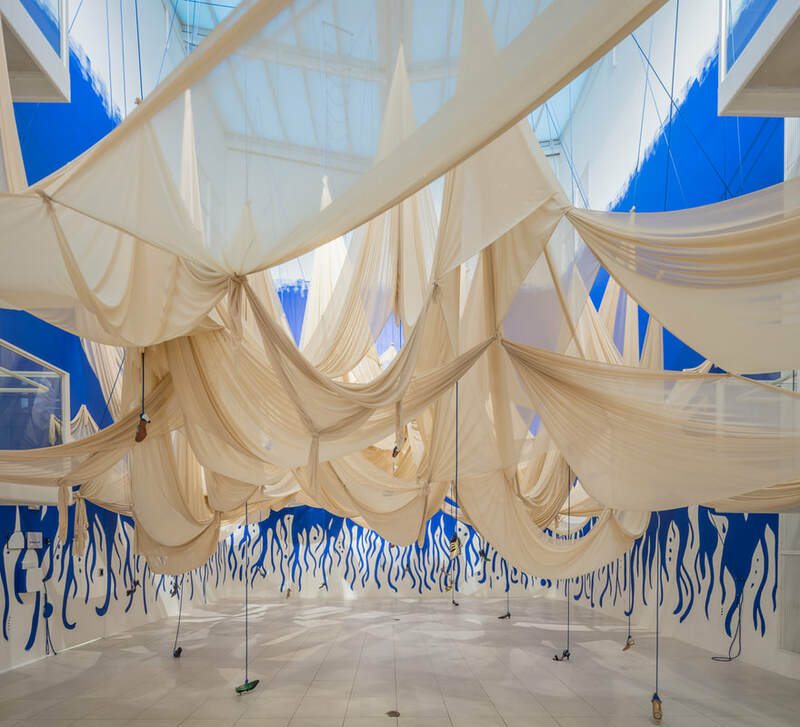 ​It accompanies Paddy Cahill's documentary Film, Amanda Coogan - Long Now which was shot between the RHA exhibition and the Niemeyer performance. which the common good cannot be achieved. Teresa Deevy, the mid twentieth century playwright, is under going a process of rediscovery in the aftermath of the Waking the Feminist enlightenment. Deevy was also deaf. Within the oeuvre of her work two plays in particular offer stark examinations of the situation of women in Ireland in the 1930s: The King of Spain’s Daughter, 1935 and Katie Roche, 1936. It is no coincidence these works are now place side by side in the national theatre. These plays trouble the concept of the ideal Irish Woman as laid out in De Valera's 1937 Constitution. A constitution that enshrined the catholic teaching on family, marriage and the place of woman, implicitly proposing to imprison women in the narrowly prescribed private and familial role. These plays lay bare the suffocating lack of choices in Irish woman's lives, pre-empting the contemporary era's agitation on social justice issues. Taking Deevy’s deafness as our ignition point and appropriating The King of Spain's Daughter as Talk Real Fine, Just Like a Lady, we are contextualises Deevy's work within the political, historical and cultural perspectives of the contemporary Irish Deaf community. Irish Sign language has been at the heart of our creative process. Sign is a language in motion, a form of communication that manifests on the body. ISL is a language in the process of emerging out of a prolonged period of oppression and one that still has no legal recognition in this state. For the Deaf community in Ireland in the 1930s Deaf girls were institutionalised in the school for deaf girls. The sexes were stringently segregated and any fraternisation frowned upon by their religious carers. This led to what has been described by American Linguist Barbara Le Masters as the most 'distinctively gendered vocabulary developing'. Deaf women and Deaf men used different signs for the same concept. This unique vocabulary was only used amongst woman, when these woman signed with men they adapted their vocabulary to 'men's' signs. We use women’s signs throughout our production. It is a female space, in language, gesture and embodiment that you enter. In titling this work we reached out the Nina Simone's blistering civil rights anthem, Mississippi goddamn. We hope coming from the specifics of the situation of Deaf people's life's Talk Real Fine, Just Like a Lady will also serve as analogous to any quest for justice, recognition, independence and equality. Indeed while our work foregrounds a female space and the politics of linguistics it also rejoices in sound. Not the sound making that formulates words but those of another deaf artist; Beethoven and in stepping back and reaching forward contemporary composer Aine Fay's score derives from fragments of the final movement of Beethoven's 7th Sypmhony. Fay has explored the infinite malleability of sound echoing our methodology of distilling ideas to their kernel. Our shape shifting of Deevy's play is echoed in Fay's shape shifting of Beethoven's. In each layer of this work I am attempting to eschew the verbal, illuminate the embodied and foreground the visual. You are reading this after you've experienced the work. We are shape-shifting a literary theatre work and in so doing shining a spotlight on an alternative method of communicating through my live art practice, the alternative language of ISL and the profoundly skilled and 'othered' bodies of Dublin Theatre of the Deaf performers. As Nina has said 'can you see it, can you feel it, it's all in the air', breath deep. 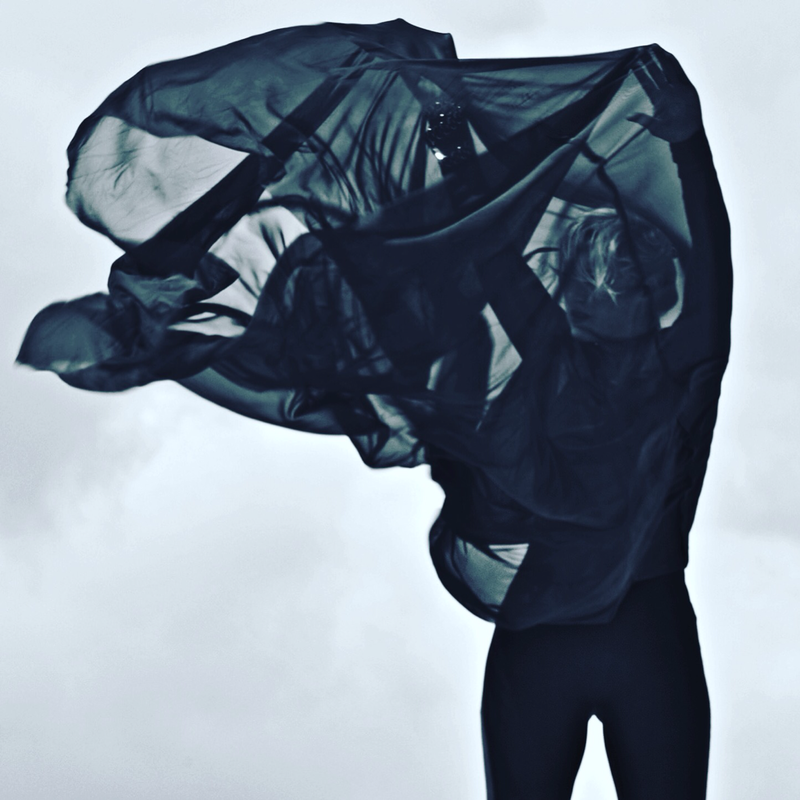 ​performers: Amanda Coogan, Roisin Owens, Natasha Carlin, Tara Carroll, Lisa Freeman and Niamh Cooney. A live exhibition of Coogan's work encompassing installation, performances, and Moving Image footage from Paddy Cahill, at Limerick City Gallery of Art. The final Live Performances of 'I'll sing you a song from around the town' suite of works will be on the 26th, 27th, and 28th January 2017. The Eli and Edythe Broad Art Museum at Michigan State University. The live performance of Rock, whats the matter with you Rock, was on November 5, 2016. The exhibition runs until April 2, 2017 with moving image footage of this newly commissioned live performance made for the Broad. SONIA SHIEL, MARCEL VIDAL, RICHARD T. WALKER . an exhibition of works that give evidence of the artist's. Action, intervention and performance. Delighted to be showing photographs alongside Lorraine Burrell, Tony Hill, Tom Lovelace, Moirai McIver, Maria Platero, Manuel Vason and Ai Wei Wei. A new moving image work made in collaboration with Paddy Cahill with sound composition by Mike Glennon. 24 hours in the Museum is a collaborative project derived from the live performance, The Passing. 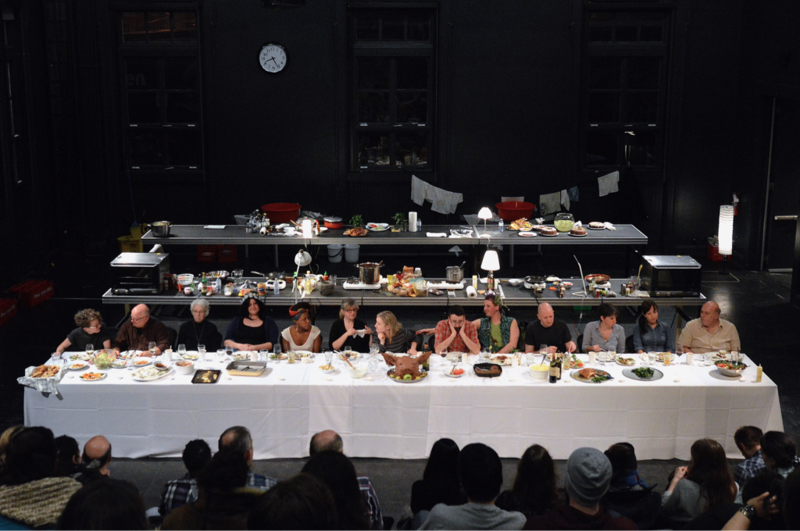 A 24 hour performance at the Linde Family Wing for Contemporary Art at the Museum of Fine Arts, Boston. The live performance took place from 7pm on the 17th September to 7pm on the 18th September 2011. 24 hours in the Museum it made of the stories of a series of encounters observed during this 24 hour live performance and is described in 24 pages; one page for each hour. at the Kevin Kavanagh Gallery. On a windy morning, I went for a cycle with Paddy Cahill and Philip De Roos to Bull Island. Buried deep in the market area off Dublin's Capel Street, almost underground, is the historic Irish abbey, St. Mary’s. Here, in this hallowed space, six women dressed in yellow come, one by one and night after night, to wash and re-wash the long garment they are wearing. With effusive liquid emerging between their legs the action sits on a vertiginous axis between orgasmic and shameful. The ritual of repeatedly submerging and scrubbing the fabric they wear becomes an act of cleansing and rebirth, their raw knuckles scraping, increasingly violently, against the fabric. The grunts and groans of their efforts become haunting sounds echoing throughout the chamber. Their bodies twist and contort, becoming harbingers of an almost talismanic energy; an energy that can be felt like breath on your face, an energy that collectively becomes a triumph of the spirit. This film of that event has as its premise that to endure is to live and finally to triumph. It engages with the shamanist ritual of healing. These six extraordinary performances filmed in a series of epic single takes is an Irish film unlike any other you'll see this year. 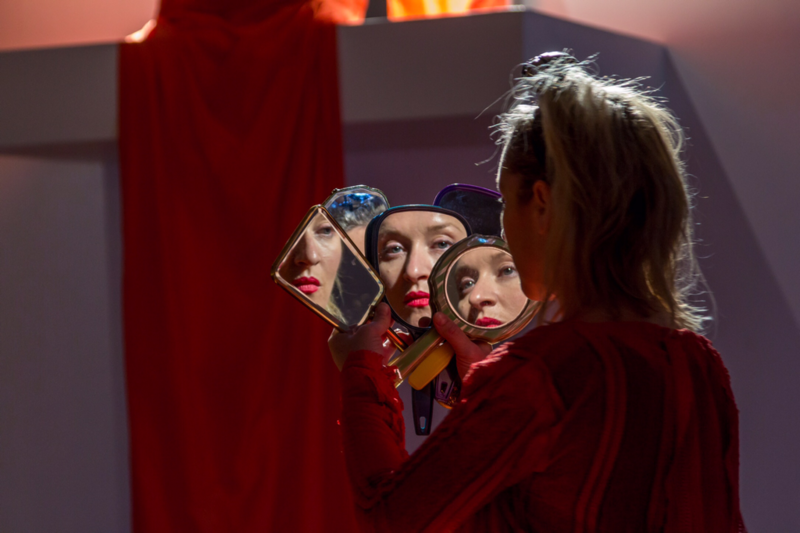 Amanda Coogan and Paddy Cahill's film presents concurrently on a single canvas the six performances, unfolding over four hours, following the durational nature of the original performances.